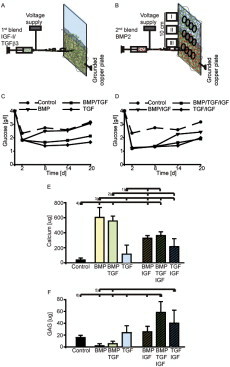 A new study in JBMR highlights a novel glucocorticoid receptor modulator Compound A (CpdA) with the potential for an improved risk/benefit profile. They tested the effects of CpdA on bone in a mouse model of GC‐induced bone loss. 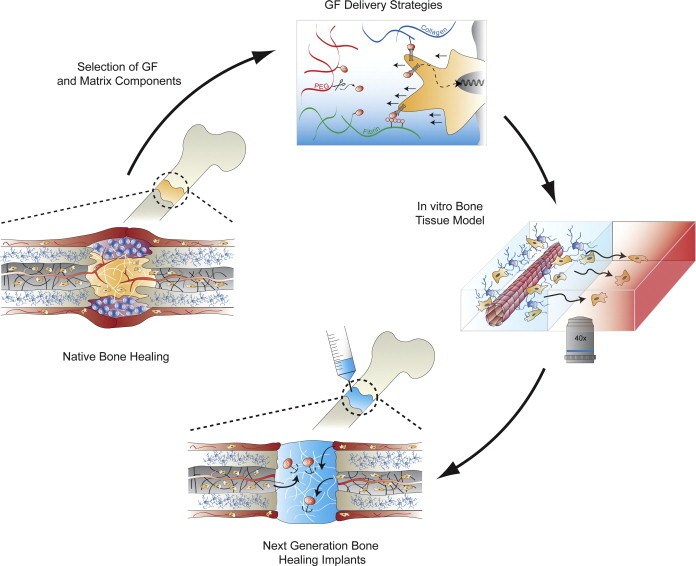 This study underlines the bone‐sparing potential of CpdA and suggests that by preventing increases in the RANKL/OPG ratio or DKK‐1 in osteoblast lineage cells, GC‐induced bone loss may be ameliorated. 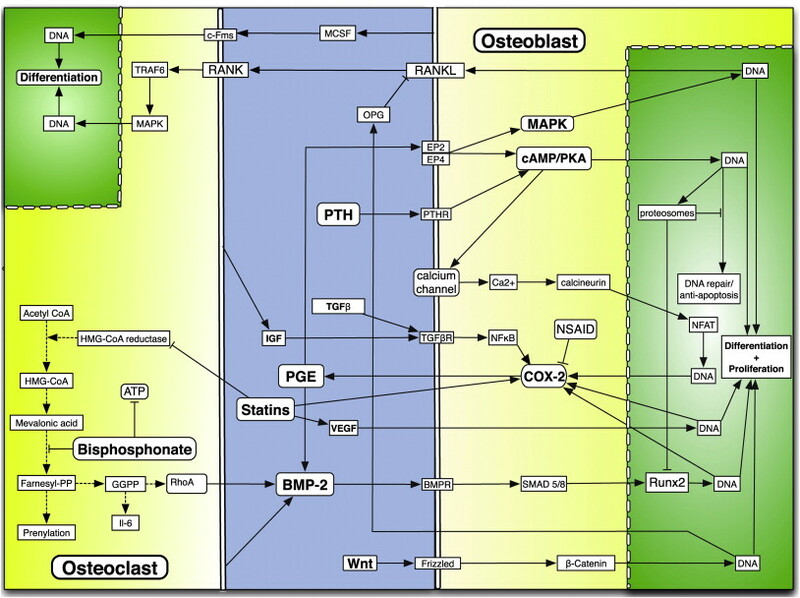 © 2012 American Society for Bone and Mineral Research. PRED reduced the total and trabecular bone density in the femur by 9% and 24% and in the spine by 11% and 20%, respectively, whereas CpdA did not influence these parameters. Histomorphometry confirmed these results and further showed that the mineral apposition rate was decreased by PRED whereas the number of osteoclasts was increased. Decreased bone formation was paralleled by a decline in serum P1NP, reduced skeletal expression of osteoblast markers, and increased serum levels of the osteoblast inhibitor dickkopf‐1 (DKK‐1). In addition, serum CTX‐1 and the skeletal RANKL/OPG ratio were increased by PRED. None of these effects were observed with CpdA. Consistent with the in vivo data, CpdA did not increase the RANKL/OPG ratio in MLO‐Y4 cells. Finally, CpdA also failed to transactivate DKK‐1 expression in bone tissue, BMSCs and osteocytes. 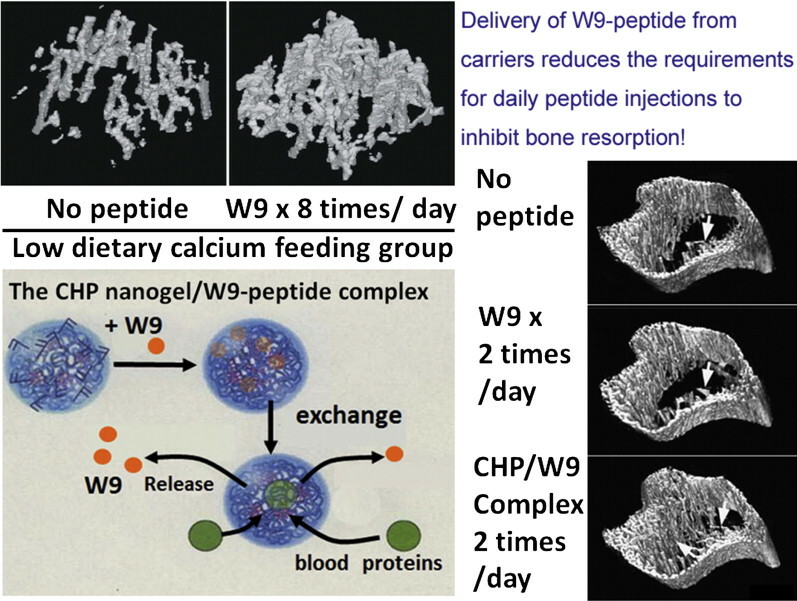 Bone loss was induced in FVB/N mice by implanting slow‐release pellets containing either vehicle, prednisolone (PRED) (3.5 mg), or CpdA (3.5 mg). After 4 weeks, mice were killed to examine the effects on the skeleton using quantitative computed tomography, bone histomorphometry, serum markers of bone turnover, and gene expression analysis. 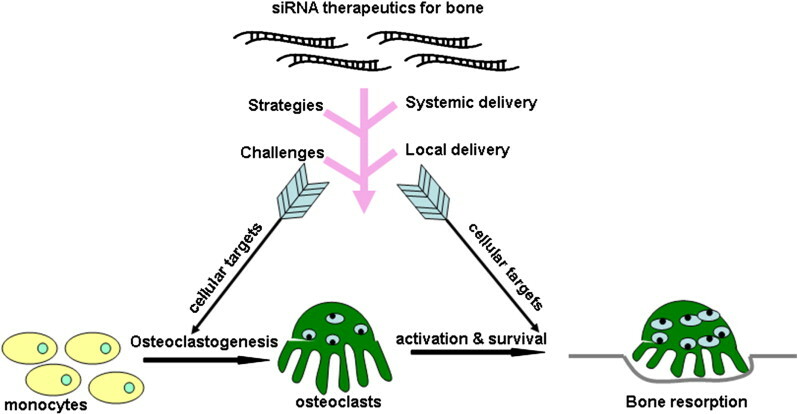 To assess the underlying mechanisms, in vitro studies were performed with human bone marrow stromal cells (BMSCs) and murine osteocyte‐like cells (MLO‐Y4 cells). Nitric oxide (NO) is a short-lived, highly reactive, free radical which is ubiquitously present in the human body. Physiologically, it is widely used as a second messenger both an inter-cellular and intra-cellular signaling molecule. NO is produced when L-arginine is converted to L-citruline in the presence of NO synthase (NOS) enzyme, molecular oxygen, NADPH, and other cofactors. 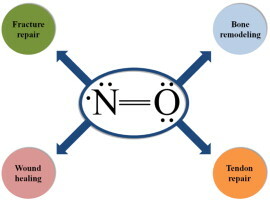 Principally, three isoenzymes of NOS are present in the body to catalyse the production of NO in various anatomic locations and under various physiological conditions. Three distinct genes encode for the three types of NOS i.e. endothelial (eNOS or NOS-3), neuronal (nNOS or NOS-1), and inducible (iNOS or NOS-2) NOS. 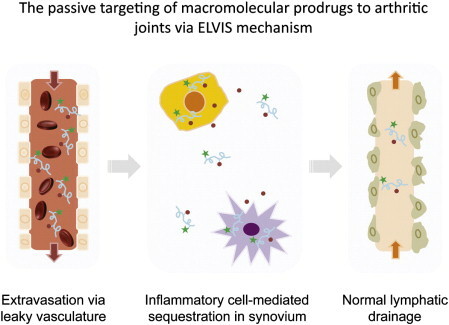 Neuronal NOS and endothelial NOS are calcium-dependent enzymes, whereas inducible NOS is a calcium-independent inducible enzyme, that is activated and upregulated by cytokines during inflammatory processes. The tissue-specificity indicated in the names is not absolute as these subtypes have been discovered in wider locations in the body. 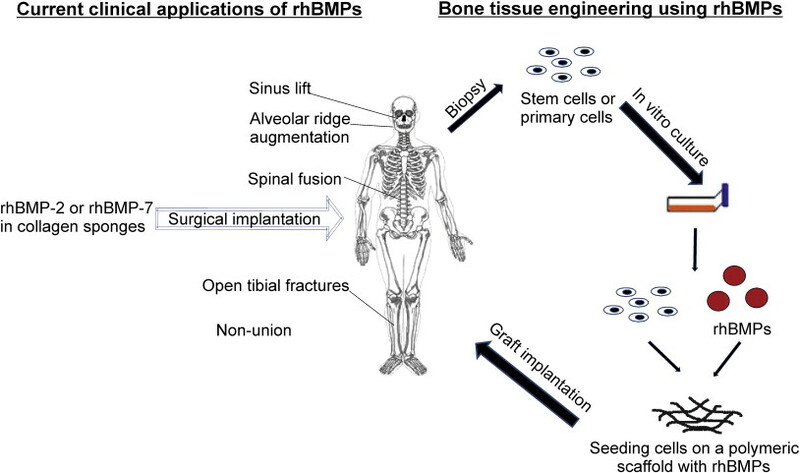 In bone, NO plays a vital role in mechanosensation and mechanotransduction. Osteocytes are widely accepted as the ‘professional’ mechanosensors in bone. They sense external mechanical loads on bone and produce chemical signals such as NO and prostaglandins. NO in turn has been shown to modulate the activity of both bone forming osteoblasts and bone resorbing osteoclasts. 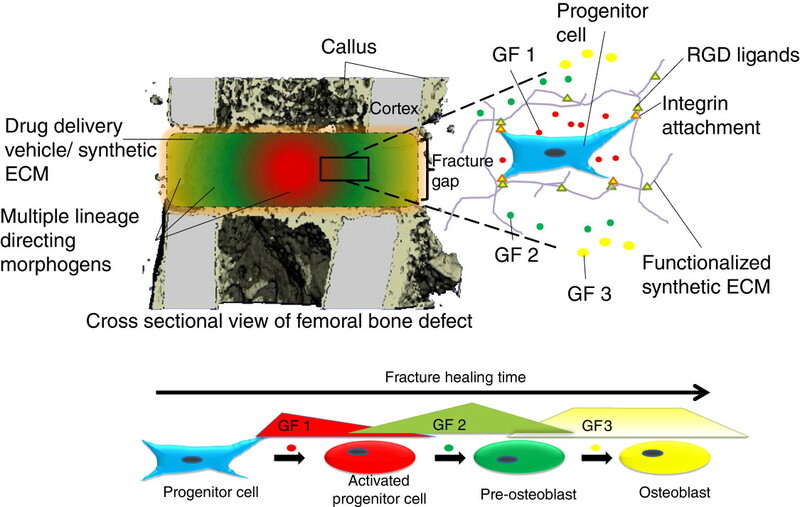 NO is essential for load-induced bone formation in vivo. Studies using single gene deletions have shown that NO is an important cog in the wheel for bone metabolism and bone remodelling. Although eNOS isotype is widely implicated in NO production in bone, but recent studies indicate that iNOS isotype might also be involved in NO production in bone in response to mechanical loading. Targeted deletion of eNOS shows mild osteoporotic phenotype in mice and iNOS pathway has been implicated in L-1-induced osteoclastic bone resorption. Hence both NOS isoforms have important role in bone remodelling. 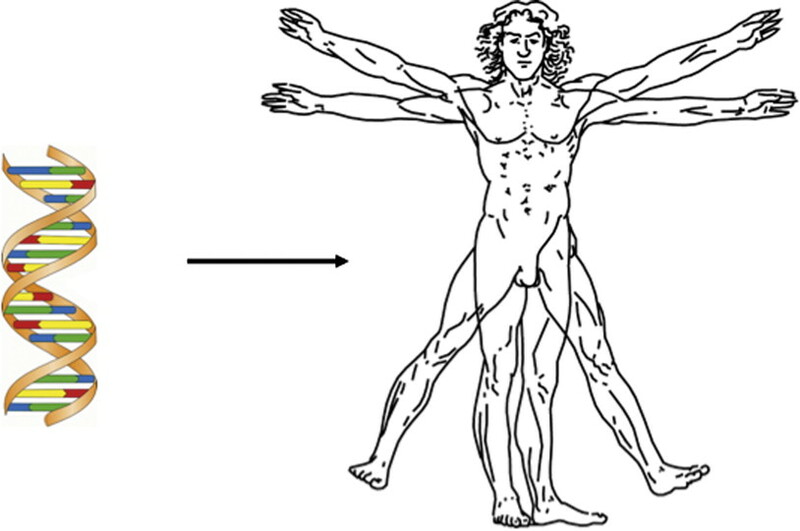 Challenges to study NO: NO is a small, short-lived signalling molecule. It has a half life of less than 5 sec, which makes its online detection very difficult. Predominantly, the more stable metabolites of NO such as nitrites and nitrates are detected by using techniques such as Greiss reagent. They are however lited by the sensitivity levels and their inability to detect actual levels of NO. However, fluorescent dyes such as DAR 4M and DAF dyes are potent tools to detect online NO production at single cell level. These dyes are membrane-permeable, hence are taken up readily by the cells. Once inside the cell they are metabolised and rendered membrane-impermeable. When cell produces NO these dyes trap NO and get converted into fluorescent product, which can then be detected by using fluorescence microscopy. 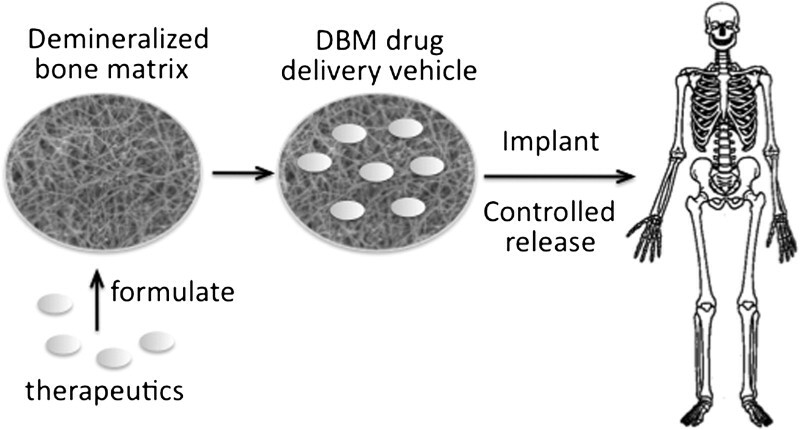 Moreover, by using these techniques, quantitative analyses of NO production (not only its metabolites) is feasible in live, single cells. Molecular methods to investigate mRNA or protein levels of NOS enzymes are also used to corroborate with the changes in NO production levels. A new study by Stern et al reports a technique where in the authors have isolated primary osteocytes from mature and aged mice. Osteocytes are deeply embedded in the mineralised matrix of bone. They form the majority cell types of bone and play vital function in maintenance of bone homeostasis. However their study has been limited by their location in the bone and that they are terminally differentiated cells. As a result majority of the studies on osteocytes in vitro have used either cell lines and/or primary cells from new-born animals such as chicken, rat and mouse. To circumvent the above mentioned limitations the authors utilised multi-step digestion technique. They subjected mouse long bone pieces (from 4-month old mouse and 22-month old mouse) to collagenase and EDTA alternatively for 25 minutes and collected the aspirate after each step for plating and culture of cells. (as described in the table, which has been taken from the study). They collected cells from nine such alternate steps in total and also the left over bone. These cells were then cultured for 7 days. Following parameters were tested to characterise the osteocytes. The authors were able to demonstrate that the isolated cells indeed expressed osteogenic markers. It was observed that cells isolated from later digestion steps (6-9) were more osteocyte like. This was also the case with the cells isolated from the left over bone pieces. As the authors pointed out, their study characterised the cells ensemble from separate digestion steps. This could lead to having a mixed population from each step. The authors did not mention about the proliferation (or the absence of it) of the isolated cells. Since osteocytes are terminally differentiated cells, theoretically they should not proliferate. In addition when such primary cells are co-cultured with dividing cells, such as osteoblasts and fibroblasts in this case, the dividing population tends to over grow in culture leaving behind very few primary osteocytes. A detailed characterisation of these cells at different stages of digestion along with progressive time points will be very helpful. As authors claim, in future, this technique can help scientists to answer tricky questions about osteocytes such as comparing osteocytes from animals grouped on the basis of age, disease, bone characteristics, and therapies. Reference: Isolation and culture of primary osteocytes from the long bones of skeletally mature and aged mice. BioTechniques 52:361-373 ( June 2012) doi 10.2144/0000113876 .